Symphony No. 1 : intercession / Bruce Cale. 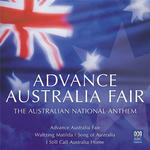 CD: Advance Australia fair : the Australian national anthem. CD: Federation celebration, 28th and 29th August 2002. 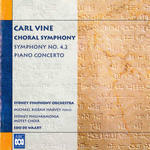 CD: Choral symphony ; Symphony no. 4.2 ; Piano concerto / Carl Vine. 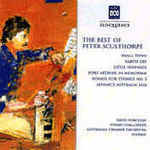 CD: The best of Peter Sculthorpe / Stuart Challender, David Porcelijn, Australian Chamber Orchestra, Synergy.